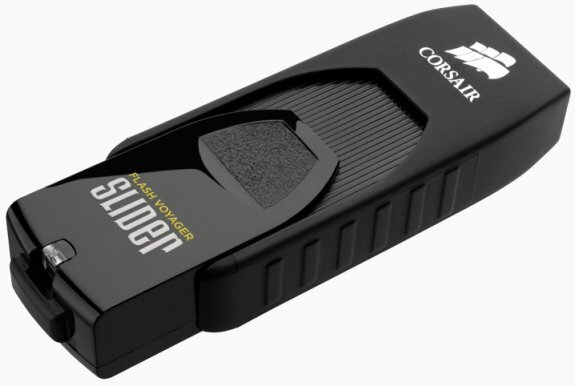 Corsair reveals the Flash Voyager Slider USB 3.0 flash drive. This model is available in 8GB, 16GB, 32GB and 64GB capacities for $12.99, $17.99, $29.99 and $64.99, respectively. Unfortunately, Corsair did not provide performance details. Corsair, a worldwide designer and supplier of high-performance components to the PC gaming hardware market, today announced the availability of the Flash Voyager Slider USB 3.0 drives in capacities of 8 GB, 16 GB, 32 GB, and 64 GB. Flash Voyager Slider USB drives feature a sleek new, capless housing with a sliding retractable USB plug for convenience and protection. Like Corsair's other USB drives, the new Flash Voyager Slider delivers high-performance USB 3.0 speeds, backwards USB 2.0 compatibility, and plug-and-play support for major operating systems including Microsoft Windows, Mac OS X, and Linux. 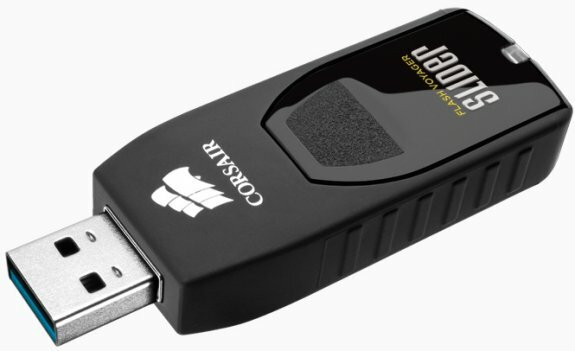 "Our Flash Voyager USB 3.0 drives are known for their blazing transfer speeds and rugged reliability," said Thi La, Vice President of Memory Products at Corsair. "Our new Flash Voyager Slider continues this tradition while adding cap-free convenience and providing outstanding value." Flash Voyager Slider USB 3.0 USB drives include a five year warranty backed by Corsair's passion for quality and customer service. They are available immediately worldwide from Corsair's network of authorized retailers.